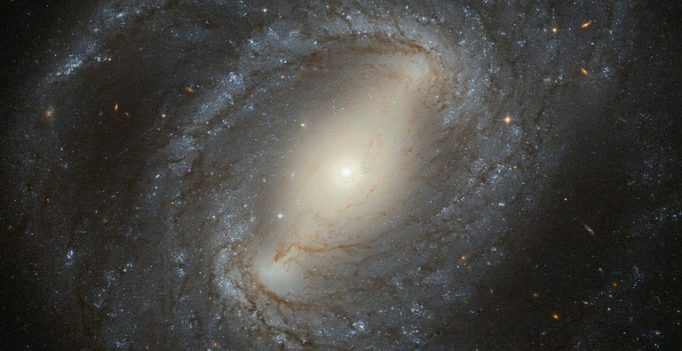 Discovered in 1784 by the German–British astronomer William Herschel, NGC 4394 is a barred spiral galaxy situated about 55 million light-years from Earth. The galaxy lies in the constellation of Coma Berenices (Berenice's Hair), and is considered to be a member of the Virgo Cluster. NGC 4394 is the archetypal barred spiral galaxy, with bright spiral arms emerging from the ends of a bar that cuts through the galaxy’s central bulge. These arms are peppered with young blue stars, dark filaments of cosmic dust, and bright, fuzzy regions of active star formation. At the centre of NGC 4394 lies a region of ionised gas known as a LINER. LINERs are active regions that display a characteristic set of emission lines in their spectra— mostly weakly ionised atoms of oxygen, nitrogen and sulphur. Although LINER galaxies are relatively common, it’s still unclear where the energy comes from to ionise the gas. In most cases it is thought to be the influence of a black hole at the centre of the galaxy, but it could also be the result of a high level of star formation. In the case of NGC 4394, it is likely that gravitational interaction with a nearby neighbour has caused gas to flow into the galaxy’s central region, providing a new reservoir of material to fuel the black hole or to make new stars. Anything related to space has always excited us since our childhood days—from the solar system, planets, galaxies to even our own blue planet. NASA has made a major contribution to our understanding of the universe with its various space missions. 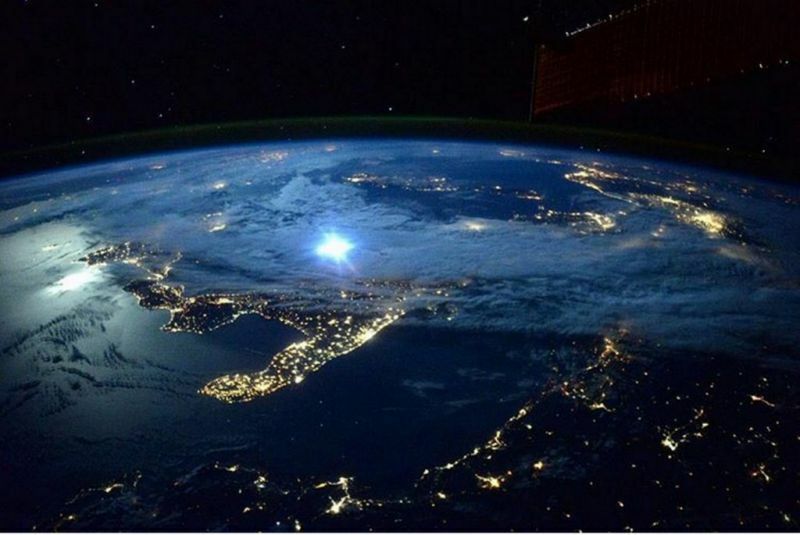 Based on which, we present NASA’s top 10 photos which have an awe-inspiring visual treat. 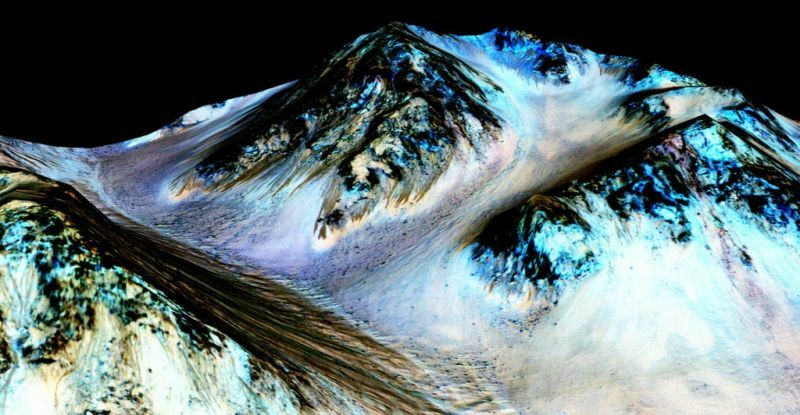 Water on Mars: New findings from the Mars Reconnaissance Orbiter (MRO) provide the strongest evidence yet that liquid water flows intermittently on present-day Mars. Dark, narrow streaks on Martian slopes such as these at Hale Crater are inferred to be formed by seasonal flow of water on contemporary Mars. The streaks are roughly the length of a football field. 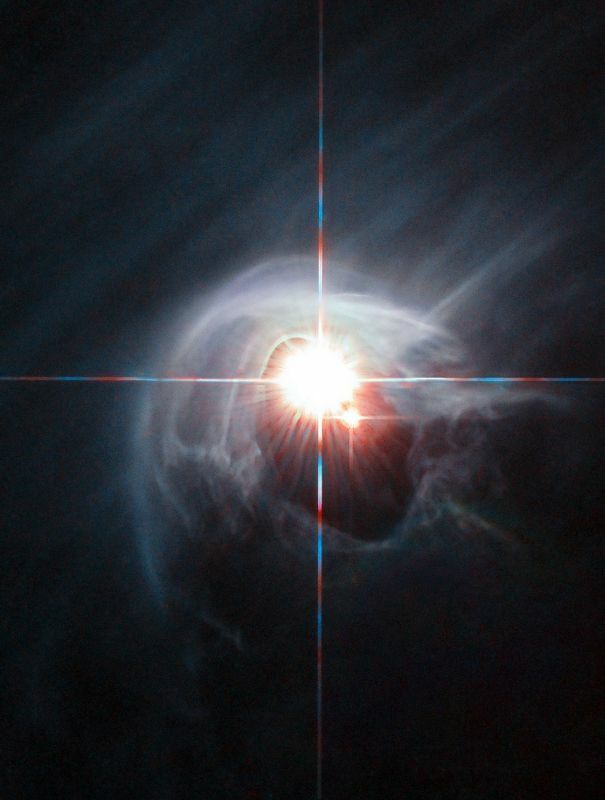 Smoke Ring for a Halo: Two stars shine through the center of a ring of cascading dust in this image taken by the Hubble Space Telescope. The star system is named DI Cha, and while only two stars are apparent, it is actually a quadruple system containing two sets of binary stars. As this is a relatively young star system it is surrounded by dust. Pluto’s Largest Moon, Charon: The New Horizons spacecraft has returned the best colour and the highest resolution images yet of Pluto’s largest moon, Charon – and these pictures show a surprisingly complex and violent history. 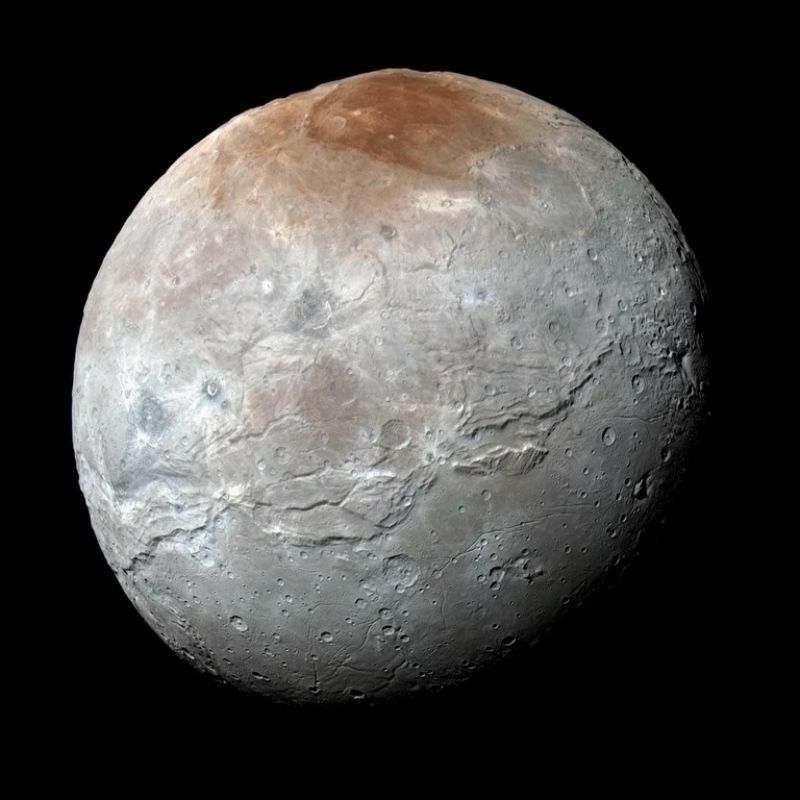 This high-resolution enhanced colour view of Charon was captured just before closest approach on July 14. 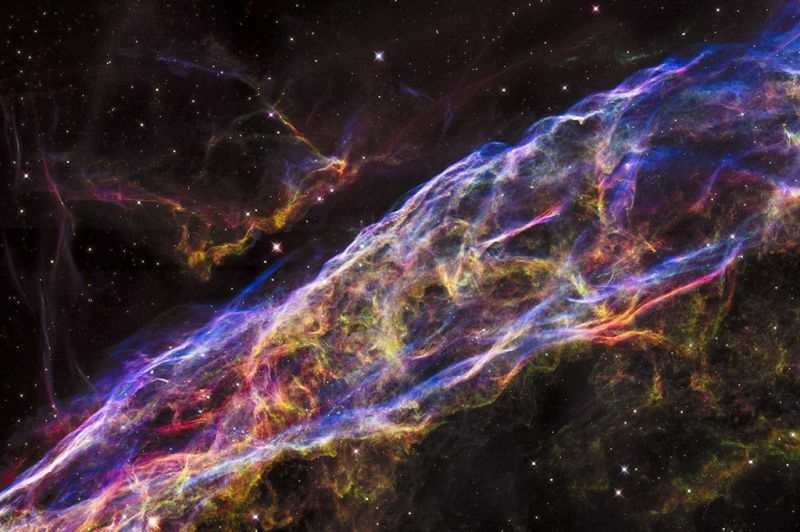 Veil Nebula: This is the expanding remains of a massive star that exploded about 8,000 years ago. This view is a mosaic of six pictures from the Hubble Space Telescope of a small area roughly two light-years across, covering only a tiny fraction of the nebula’s vast structure. This close-up look unveils wisps of gas, which are all that remain of what was once a star 20 times more massive than our sun. 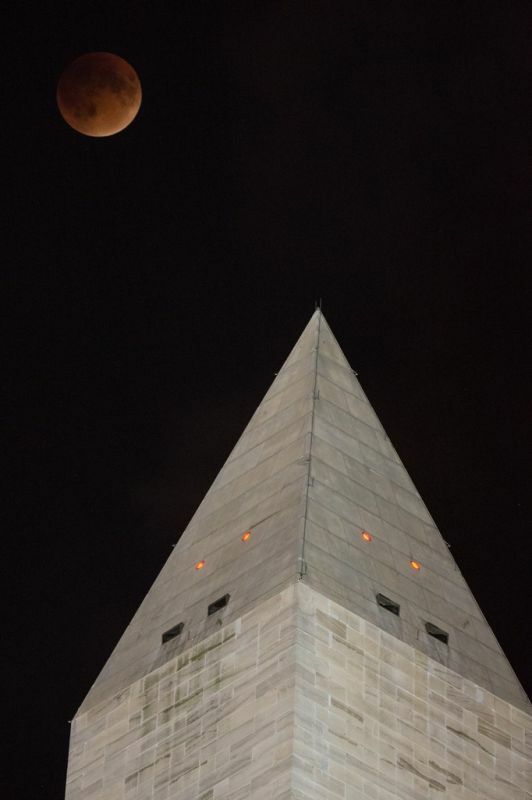 Super Blood Moon: It shows the Super Blood Moon behind the Washington Monument on Sunday, Sept. 27, in Washington, DC. The combination of a supermoon and total lunar eclipse last occurred in 1982 and will not happen again until 2033. 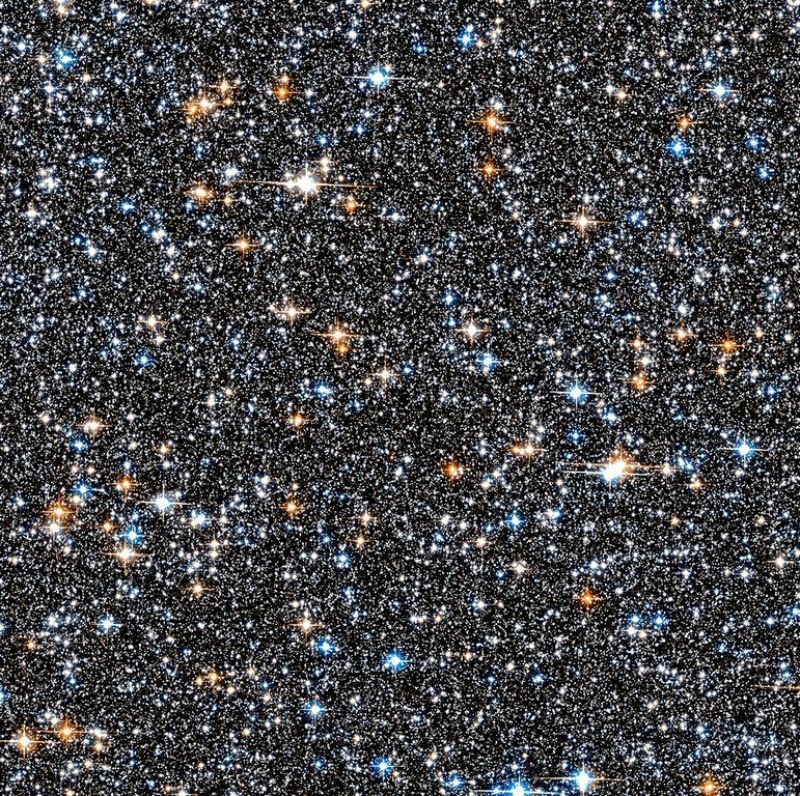 Cosmic Archaeological Dig: Peering deep into the Milky Way’s crowded central hub of stars, researchers using the Hubble Space Telescope have uncovered for the first time a population of ancient white dwarfs – smoldering remnants of once-vibrant stars that inhabited the core. Messier 94 Galaxy: This image shows the galaxy Messier 94, which lies in the small northern constellation of the Hunting Dogs, about 16 million light-years away. 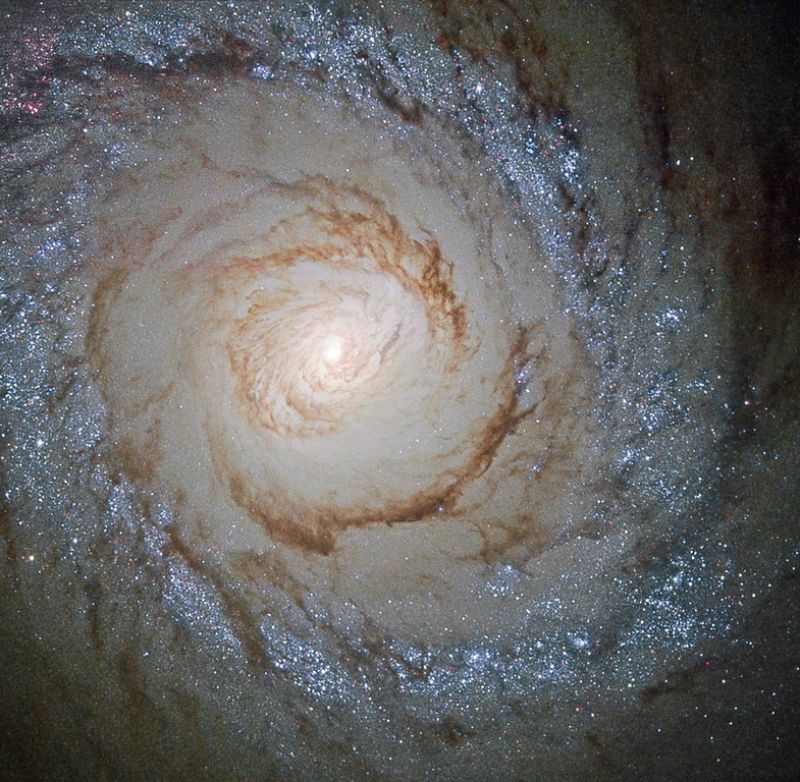 Within the bright ring or starburst ring around Messier 94, new stars are forming at a high rate and many young, bright stars are present within it. 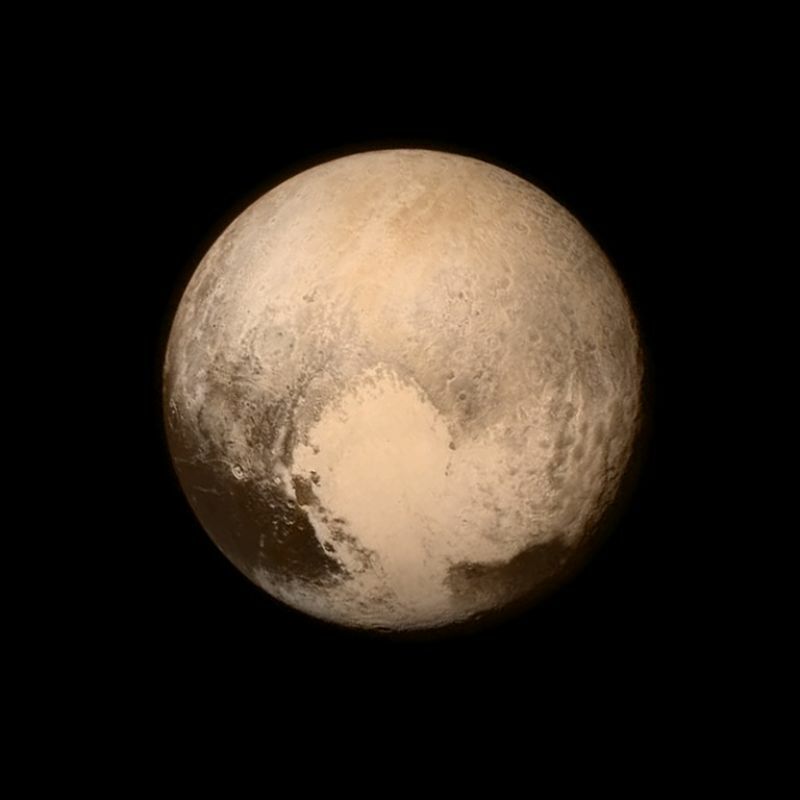 Pluto: The dwarf planet sent a love note back to Earth via our New Horizons spacecraft, which traveled more than 9 years and 3+ billion miles. This was the last and most detailed image of Pluto sent to Earth before the moment of closest approach, which was at 7:49 a.m. EDT Tuesday, July 14 – about 7,750 miles above the surface – roughly the same distance from New York to Mumbai, India. 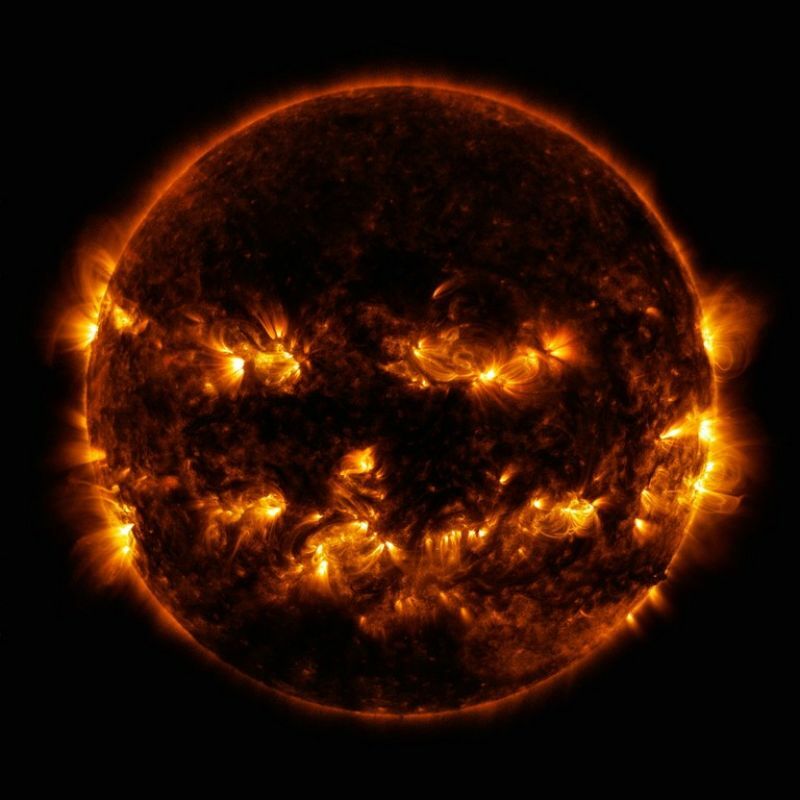 Solar ‘Pumpkin’: This photo was posted on Halloween and shows active regions on the sun combined to look something like a jack-o-lantern’s face. The image was captured by NASA’s Solar Dynamics Observatory in October 2014, which watches the sun at all times from its orbit in space.